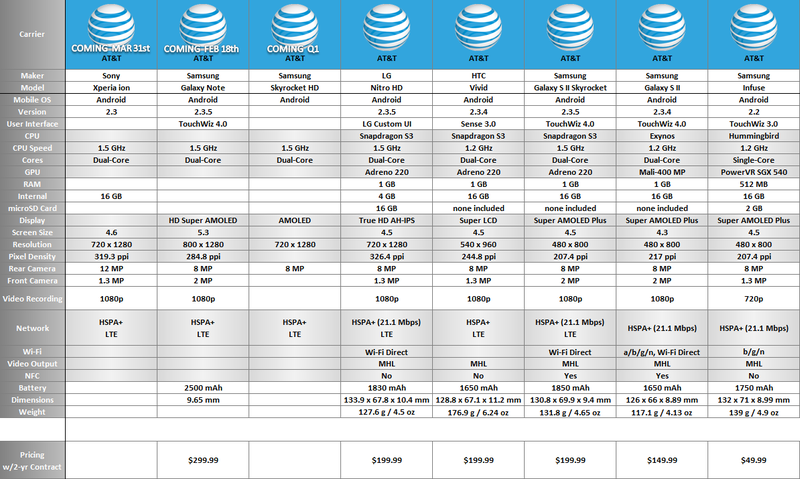 The Samsung Galaxy S II Skyrocket… *inhale*… is AT&T’s sequel to the wildly successful Samsung Galaxy S II. It all started with the Samsung Infuse 4G back in May 2011. Taking advantage of AT&T’s newly operational 4G/”Faux-G” HSPA+ network, the Infuse was introduced as a pre-Galaxy S II update to replace the Samsung Captivate from the 1st Generation of Galaxy S devices. In August of 2011, AT&T launched their true 4G network: LTE, which is capable of speeds up to 60 Mbps over the air! The actual Samsung Galaxy S II model was then released two months later in October 2011, which brought with it all the new hardware updates: dual-core, 1GB RAM, NFC, and 1080p video… but without LTE capability. 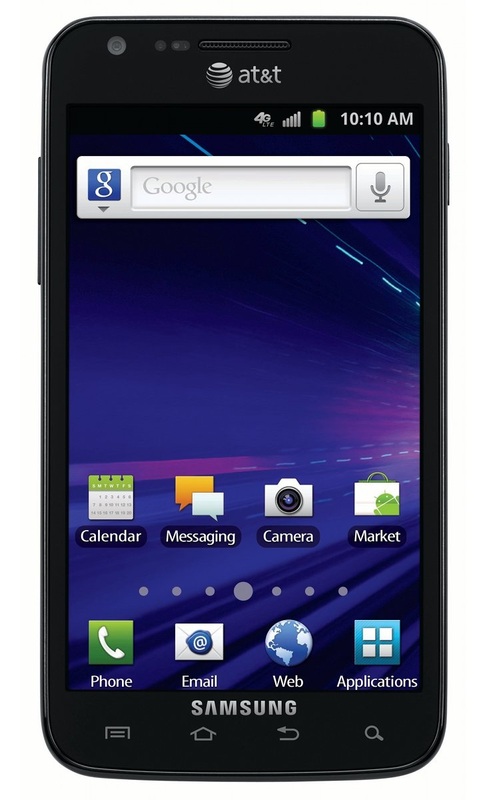 This brings us to the Samsung Galaxy S II Skyrocket, which was released a month later as a Galaxy S II with LTE access. This is the BEST Android smartphone AT&T has ever had… until the Samsung Galaxy S II Skyrocket HD comes out in Q1 2012, and then the Galaxy S III this summer… but I digress! The HD version takes the original Skyrocket and adds a 720×1280 resolution screen. So between the Infuse, GSII, GSIIS, and GSIISHD there will be four price points from Samsung to cover the needs of AT&T customers. A 5th option would be the $299.99 Samsung Galaxy Note with a 5.3″ screen and capacitive stylus, but we’ll save that review for another time. 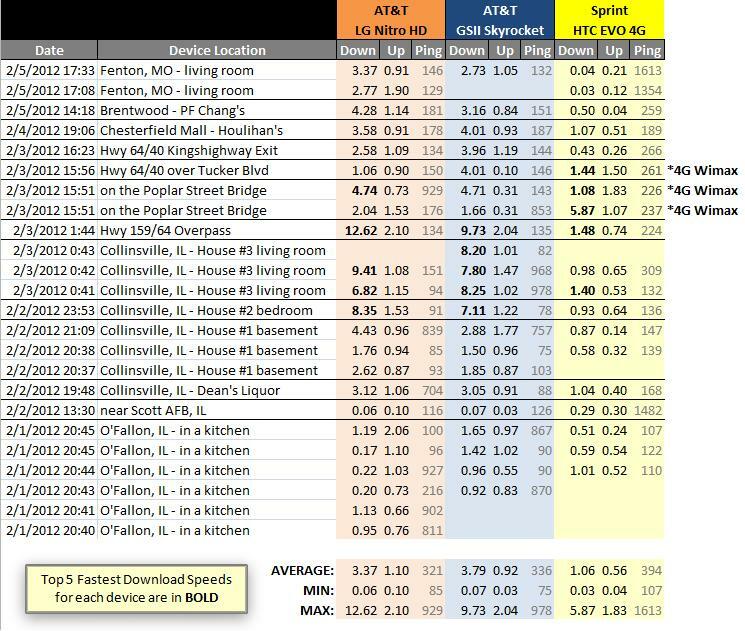 AT&T’s LTE service has not yet been switched on in St. Louis, but they recently announced that we can expect their 4G spectrum to be working this April or May. 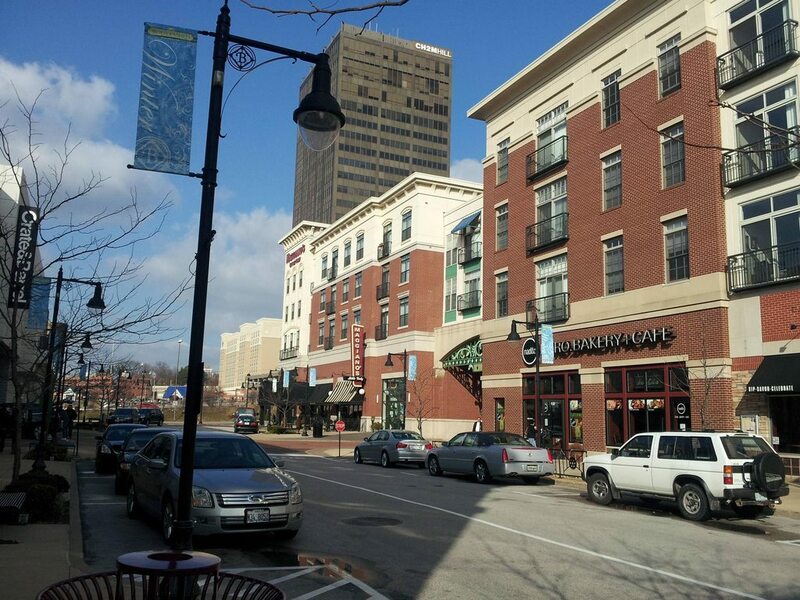 Once they flip the switch on in the Lou, the real world speeds will be close to 7-15 Mbps download and 1-5 Mbps upload. That’s faster than most home internet connections. Click here for screen caps of the setup process. Setting up the Skyrocket was… unique. Most Android products will walk you through a guide on the device itself, tapping in your email and social networking account info and hitting the Finish button. AT&T and Samsung have taken the setup out of the phone and over to the PC. 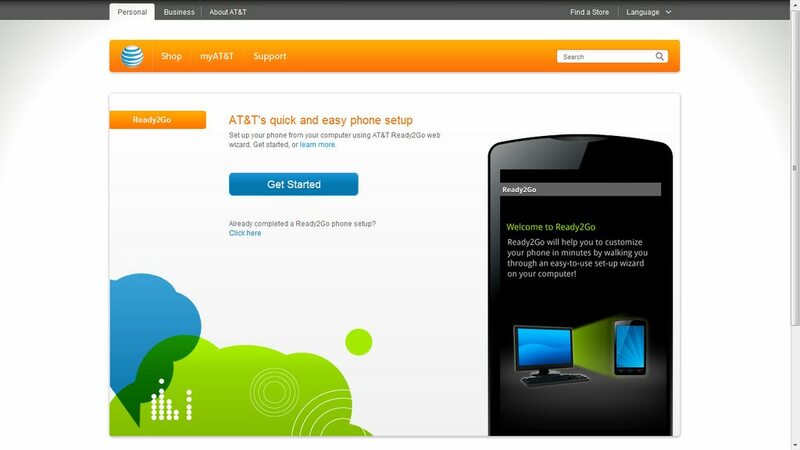 Now if you don’t have access to a computer or just don’t want to enter all your private login information through AT&T’s website, you can exit the process and just dive right into the phone to add everything. What they are trying to accomplish here is provide a bigger and better experience to add your accounts and customize your phone using a full desktop/laptop keyboard. Is it secure? I would hope so. Can you be sure? Not really. The “tin foil hat” customers might just hit the skip button upon firing up their device for the first time… but then why would they even own a smartphone in the first place? The Skyrocket has four hardware buttons: Menu, Home, Back, and Search. Android 4.0 (Ice Cream Sandwich) is looking to do away with the Search button, so this might be one of the last devices to include one. There has also been rumors that Google is trying to get rid of the Menu button as well, but that will take longer to implement since every Android app would need to be adjusted accordingly. The Skyrocket does have NFC technology sitting in the battery of the device. Currently, AT&T has disabled this feature. I expect either an agreement with Isis and an update to Android 4.0 would be the next step towards getting it enabled. The screen on/off button is placed on the side of the phone. After using other phones where the button is placed on the top of the device, it took some getting used to. I found myself accidentally activiating the volume buttons on the other side of the handset a few times when trying to turn on the screen. Samsung’s AMOLED screen technology does wonders for contrast and battery life. Each individual pixel is made up of tiny LEDs that turn on when you want to display a color, or shut off for black. A screen of mostly black will consume less power than a screen of mostly white. With other phones that use a form of LCD technology, if the screen is on, then the backlight is on. Depending on which color a pixel needs to display, an LCD screen will polarize a section of filter to let light pass through. For black, the filter will try to block all light, for white it will let all the light pass through. This is why even a completely black background on an LCD screen is still somewhat illuminated and never “truly” black. A completely black AMOLED screen looks more like it’s been turned off. Fun Fact: The HP Touchpad, HTC Jetstream tablet, HTC Vivid, LG Nitro HD, Samsung Galaxy Note, and Samsung GSII Skyrocket all use the same CPU: Qualcomm’s APQ8060. The Skyrocket does come with bloatware (some of which can be removed) but also some really great apps. The Photo Editor is great, you can do a “Fill Select” using their Smart Selection option, and it will lasso a selection based on color where you slide your finger. From there you can edit brightness/contrast/saturation or even warp the selection. The phone also comes with a file explorer to browse your internal storage or microSD card (not included). The AllShare app allows the Skyrocket to connect to a device directly using the Wi-Fi radio (Wi-Fi Direct, or “Wi-Di”). Also included is Samsung’s Kies Air app, which allows a computer on your network to browse the files on your phone without having to hook it up with a USB cable. Samsung also threw in a Task Manager app, which sparks some debate from me. Google maintains that Android will kill any apps if it needs the space, otherwise just leave them there. Every time you close an app, it stays in memory for the next time you use it. If you keep killing the app out of memory, you’re essentially starting over from scratch and eating up more CPU cycles and battery to load the entire app over again. Apps in memory aren’t doing any harm by just hanging out, leave them be! If Android thinks it needs to free up some space, it will decide which apps to drop in order to make room. To make a quick analogy, you don’t shut down your computer if you need to go to the bathroom, you just leave it on and come back to it later. It’ll take more energy to boot up from scratch than it will to just awaken from a sleep state. Social Hub is a great app for this phone. It combines all your email, texts, and social networks into one application to help you stay connected. No need to open up a bunch of apps one after another, it’s all viewable in one location. Even better, you don’t need to use an app like Facebook that is designed with a white background to eat up the battery. The Social Hub app is stylistically optimized for the Skyrocket’s AMOLED display. On top of the screen tech cutting down on battery comsumption, there is also a Power Saving Mode available in the Main Settings menu. Once you hit a certain battery percentage level, the Skyrocket can automatically switch off certain radios that aren’t in use, such as bluetooth or wi-fi that you may have forgotten to switch off. It can also adjust the brightness level to further reduce the screen’s energy consumption. I will say this, Samsung does need to look somewhere else other than Apple to steal ideas from. The charger? Basically an iPhone charger colored black and sporting a Samsung logo. The shape of the phone? Rounded rectangle like an iPhone. The App Drawer? Swipe pages left/right to scroll through apps like an iPhone. Thankfully, the App Drawer can be changed over to an alphabetical layout or list view. Still, Samsung is at the top of the stack of Android smartphone manufacturers in today’s market. It’s hard to find a phone that beats their Galaxy S II lineup, and the Galaxy S II Skyrocket is the cream of that crop… until Samsung releases the Skyrocket HD… or the Galaxy S III this summer! The Skyrocket is available now for $199.99 with a new 2-year agreement, and you can find refurbished models for just $49.99 with a new 2-year.